As Amazon’s continues to add more tools to its Web Services (AWS), the Management Console that provides a graphical user interface to services like S3, EC2 and CloudFront started to look a bit unwieldy. Today, Amazon is making a number of design changes to make the Management Console a bit easier to use for developers. 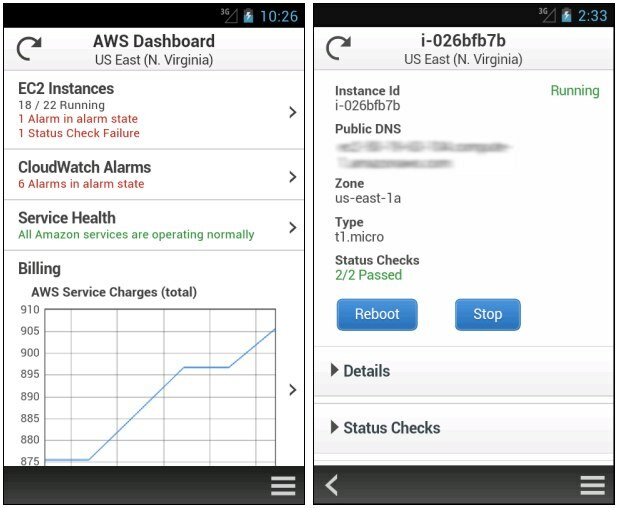 In addition, Amazon is also launching a tablet-optimized view of the AWS Console and an Android app for managing EC2 cloud computing instances. The new design, says Amazon, will offer more customization options and improve “information display on your screen of choice.” The new design now allows users to customize the Console navigation with shortcuts to the services they use most often (you can just drag and drop them into the menu bar), for example, and allows developers to easily select and compare the settings of different AWS resources. The Console now also features a new “Monitoring View” that allows users to see statistics for their resources like CPU utilization, database connections, read latency etc. Other improvements include endless scrolling and larger buttons (especially useful for tablet users), as well as the ability to collapse sidebar menus. 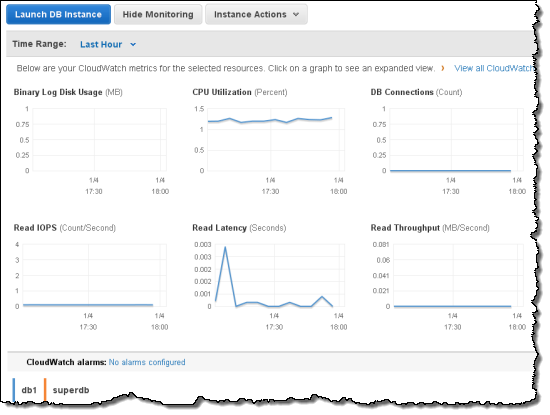 As for the EC2 Android app, Amazon notes that it will allow you to see your EC2 metrics, stop and reboot EC2 instances, receive CloudWatch alarms and view CloudWatch Graphs. While the app currently just supports EC2, Amazon says that it plans to support additional services “very quickly.” Support for other mobile operating systems is also in the works.